Paul Schrader’s film “First Reformed” blends religion and climate change in poignantly beautiful and disturbing ways accentuating the two opposing concepts of hope and despair. 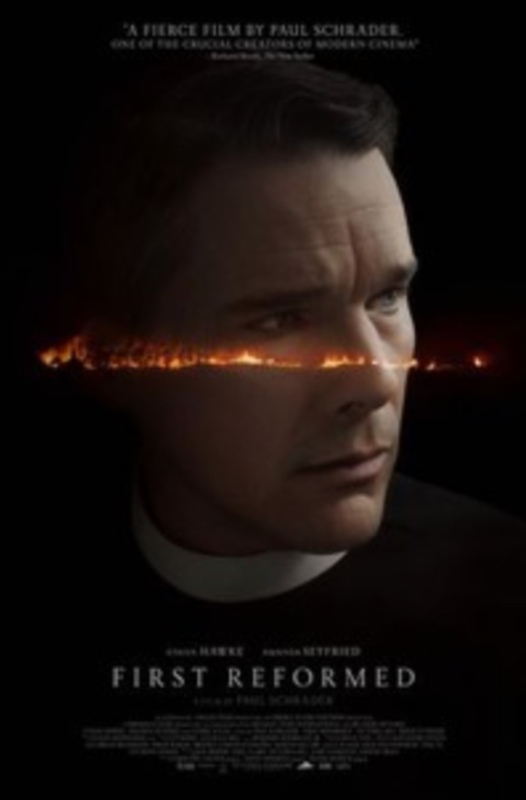 Ethan Hawke stars in this emotionally conflicting role as a preacher who is at odds within himself, battling spiritual demons and the effects of an illness. It’s one of Schrader’s most evocative and topical films to date, leaving you questioning life, God, the future of our world, and whether or not love can conquer all. Toller (Hawke), a former military chaplain, has been reassigned to an historic Presbyterian church in rural Upstate New York. The congregation is sparse, but Mary (Amanda Seyfried), a devout member, seeks his counsel after a service, sharing that she is pregnant and her husband wants her to abort. 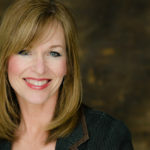 The two meet and as Toller attempts to give guidance, this fearful and deflated young activist’s words have a more profound effect on the pastor. This floods each sub-plot in the film, an undercurrent that pulls you out to sea, as we see Toller begin to fight a different fight—politics, lobbyists, and big business. The film brings to light the “ministry” of mega churches as Toller’s every move is overseen by Cedric Kyles (Cedric the Entertainer), the leader of Abundant Life Church. Politics within the church as well as big oil companies represented by BALQ industries, an uncanny similarity to the Koch Brothers and Georgia Pacific pollutants, opens Toller’s eyes as he plunges into unfamiliar territory. His personal quest, a new-found motivation and goal tests his own faith which had already been tested by his inability to resolve his anger and devastation over his own past. “First Reformed” brilliantly weaves together a story for our times as we are immersed into religion, death, greed, and climate change. The power of the story is unmistakable, accentuating the doom of our future coupled with our own individualistic needs. Schrader’s writing reminds us of the power of words with each and every sentence sublimely important. With his nuanced direction, he allows his actors to shine in this darkly captivating film. Schrader also finds music from hymnals such as Martin Luther’s A Mighty Fortress and Thomas Martin’s own words, quoted as we glean a more textured meaning behind the actions we witness. And finally, the film is filled with religious symbolism, but never overpowers the secular issues it addresses. Hawke’s performance is nearly indescribable as I was weeping in the first 10 minutes of the film. His intensity, at times explosive and at other times boiling just beneath the surface, can be felt directly. It’s as if he is talking to you and you are able to closely feel what he has experienced. His pain is evident in his eyes, his words, his tone, and his actions, all create a realistically complex character with whom we are immediately connected. In recent years, it’s quite obvious that Hawke has come into his own, perfecting each character he portrays and in this case, he embodies the mind and spirit of Toller. Amanda Seyfried’s understated performance continues the somber yet meaningful delivery of a message that each viewer will see in a different light. She brings beauty and hope to the film and to Toller’s life with her innocence and love. Together Seyfried and Hawke are magical. “First Reformed is a masterpiece—a brilliant depiction of hope versus despair and our human instinct to persevere. Schrader’s eye and his ability to direct this cast of characters should make “First Reformed” a film that will require several viewings. This is Hawke’s best performance to date and a film that is at the top of my list of the year.